However, my patterns and perceptions of J. Crew have been changing over time and apparently I am not alone. I recently read an article about how J. Crew's sales are waning and how its head stylist, Jenna Lyons, is taking a lot of the heat for this. There were quite a few aspects of the article that I sympathized with. For example, many of J. Crew's pieces don't appeal to me anymore, mainly due to the brand's changing aesthetics, and this was one of the reasons cited for the decline of the J. Crew empire. It seems like, in it's heyday, J. Crew focused on finding ways to meld classic, preppy silhouettes with more cutting edge prints, patterns, and colors, giving consumers the best of both worlds. Now, many of their pieces just seem either odd, bland, lacking in imaginative prints, or not practical for everyday. Sure, I still shop there, but not as frequently. The silver lining? It gives my wallet a breather! 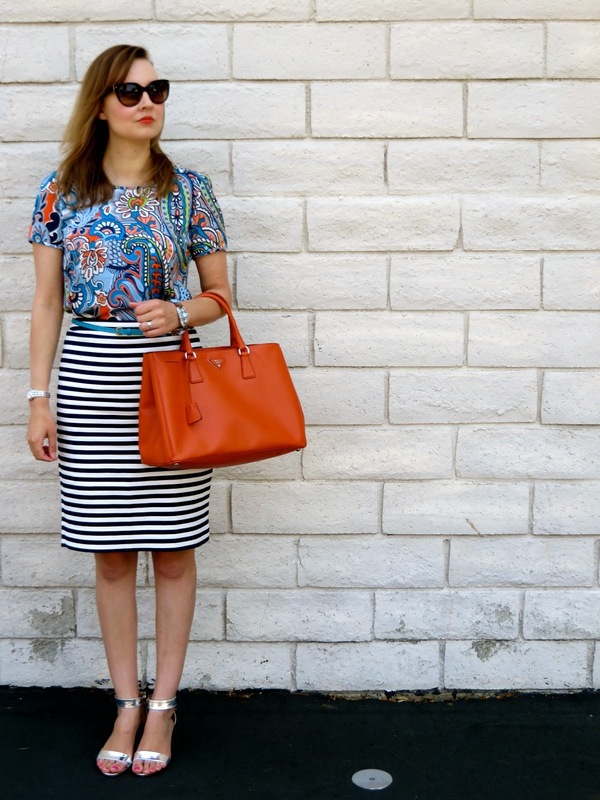 Obsessed with this pattern mixing! Great bag, too! Thanks Darcy! 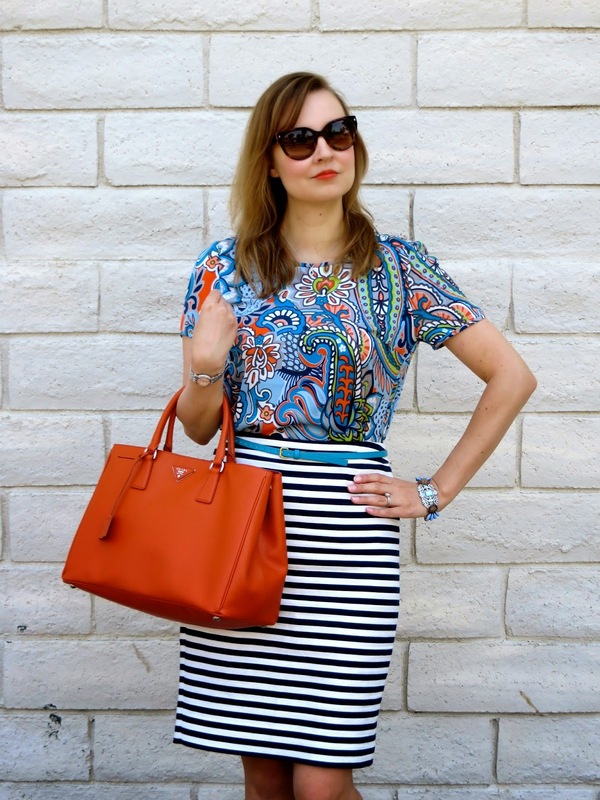 I love pattern mixing with stripes! Yes, I didn't think about it too much either until I thought about my shopping habits. I am shopping at a lot of other stores like LOFT and Boden instead of J. Crew now.